Royal Mail's first issue of 2018 is based on HBO's fantasy blockbuster Game of Thrones. The issue includes a set of ten superb stamps that feature some of the British talent and a miniature sheet that features the non-human characters. This is a limited edition version of the regular prestige stamp booklet. The booklet contains 24 pages which explores behind the scenes, the CGI, the costumes and the filming locations. The booklet also contains four stamp panes: two containing the stamps, a third the miniature sheet and the fourth the special definitive pane. 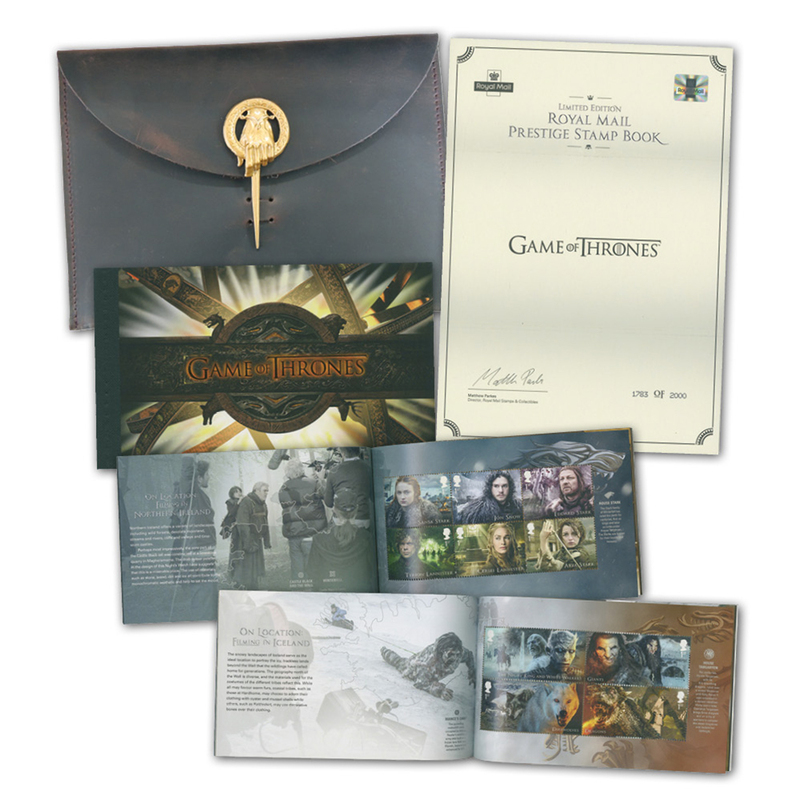 This special version is limited to 2000 and comes in a special, bespoke leather folder that is adorned with the Hand of the King and foil blocked titling of the Game of Thrones logo. Comes with a certificate of authenticity.